Ever since junior got his own room for himself and his toys, and I had to move my stuff out, I feel that my precious toys, my fishing rods, are neglected, they just sadly sit in the corner and gather dust. I was long planning to make some sort of a storage rack for them, but just never had the time and means, until this holiday, I did a bit of research and found a design that is dead simple: it only consists in four pieces of wooden board and the build doesn’t require a shop or any specialized machines, a drill is the only power tool that’s required. 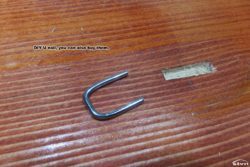 Here’s the full list of tools and materials I used, you might want to adapt these to your needs. 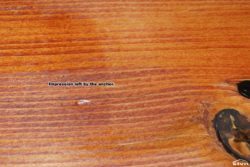 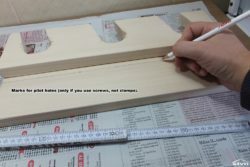 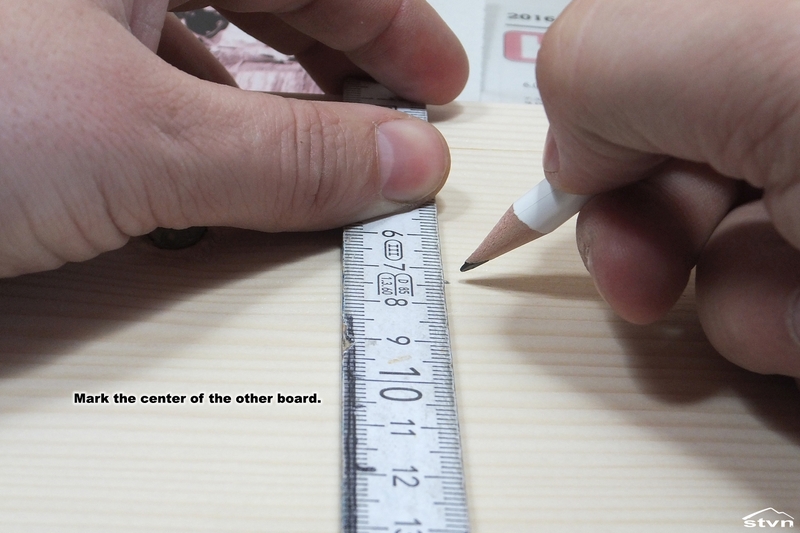 * the boards were 2cm thick and 40cm high, two were 10cm wide and two 14cm. 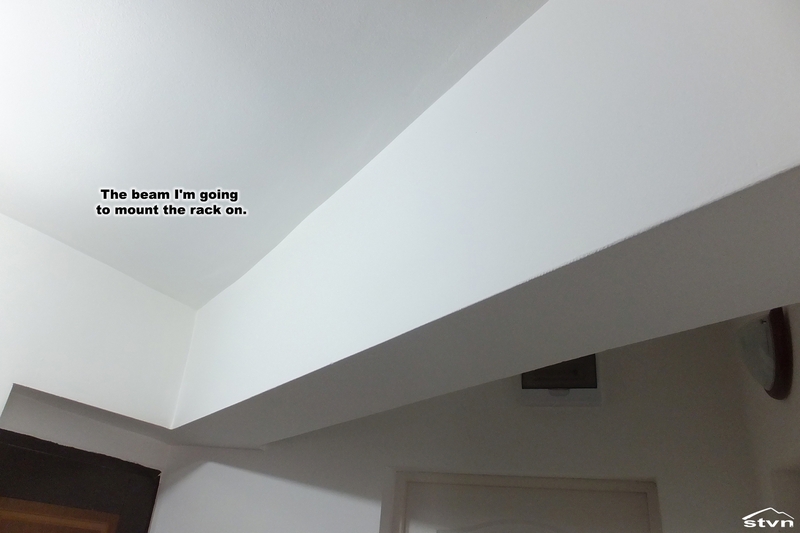 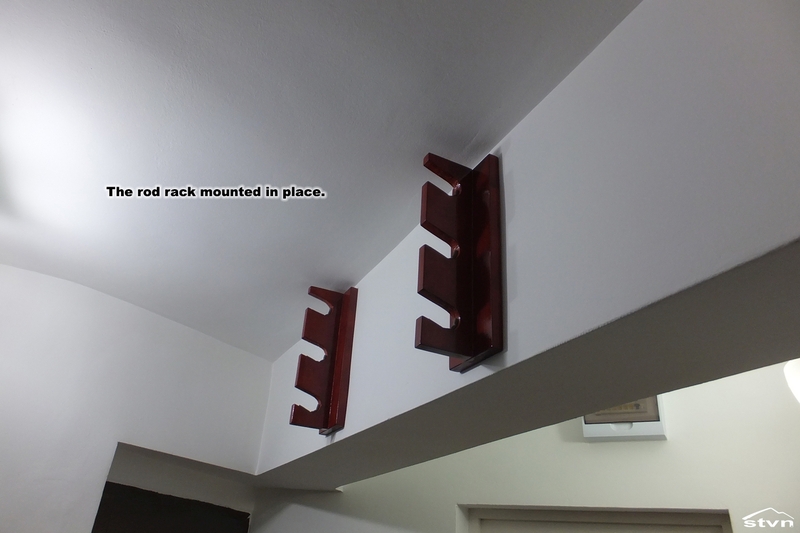 I needed to mount the rack on an overhanging beam that was approx. 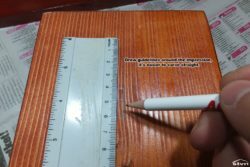 45cm. 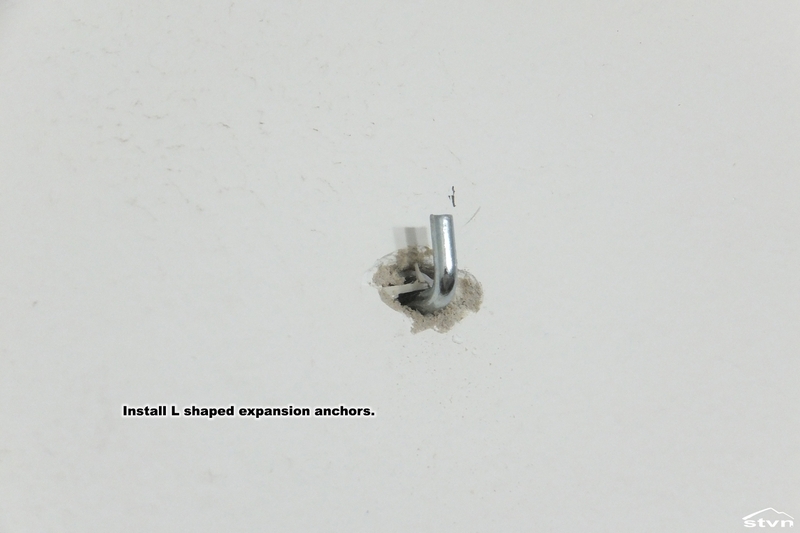 high, this is the reason that I used 40cm high boards. 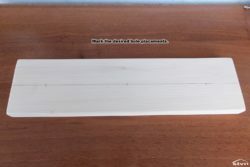 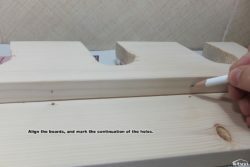 We’ll start with the smaller (10x40cm) boards, these will be the parts that actually hold the fishing rods, first step is to mark the center of the boards then decide where the holes will go, I could only fit three 5cm diameter holding holes on the 40cm high board, each slot needs at least 13cm of space between them to accommodate rod and reel. 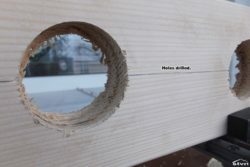 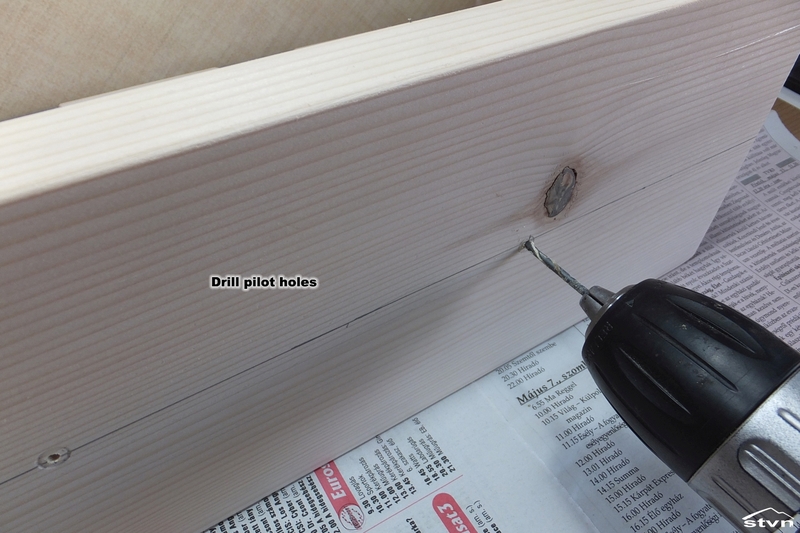 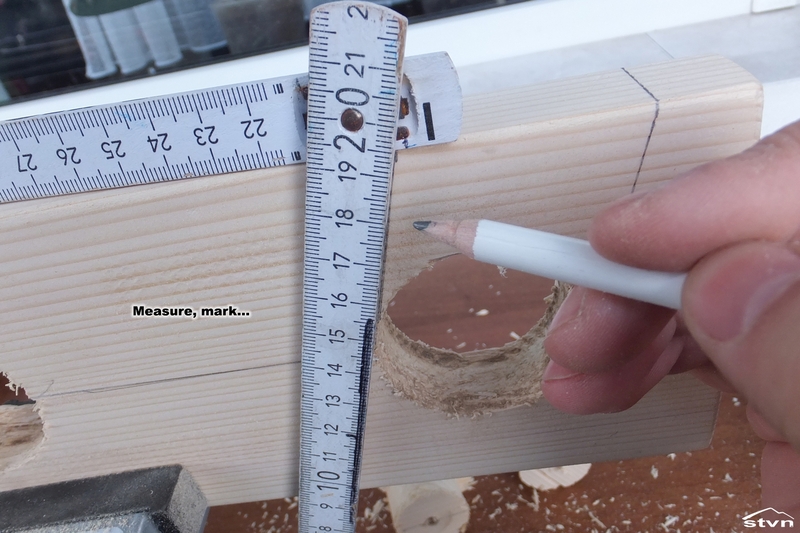 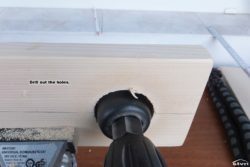 Once you worked out and marked the hole placings, mount the board into a vise or clamp it down securely, then make the holding holes using the drill mounted circular saw, if you have access to a drill press, this is a piece of cake. 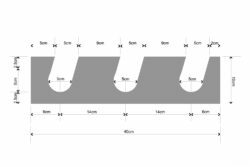 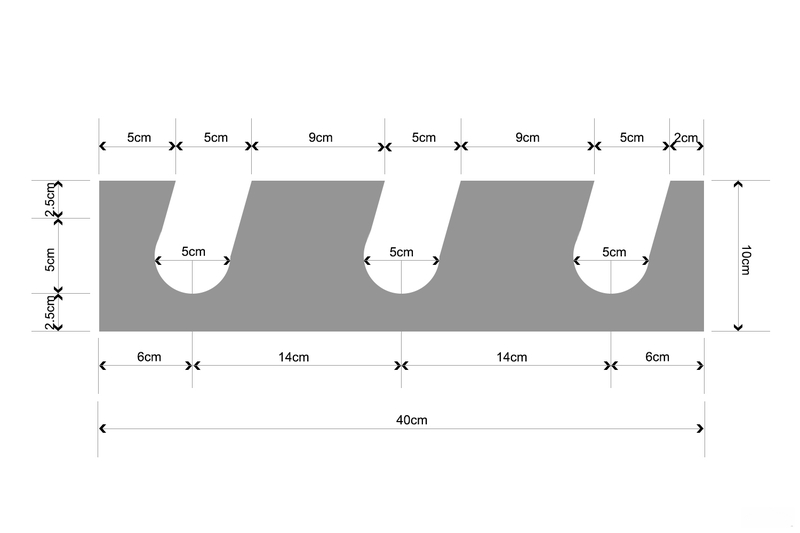 Next step is to cut out the wood between the side of the board and the holes you just made, this needs to be made at a sloping angle; measure, mark then cut. 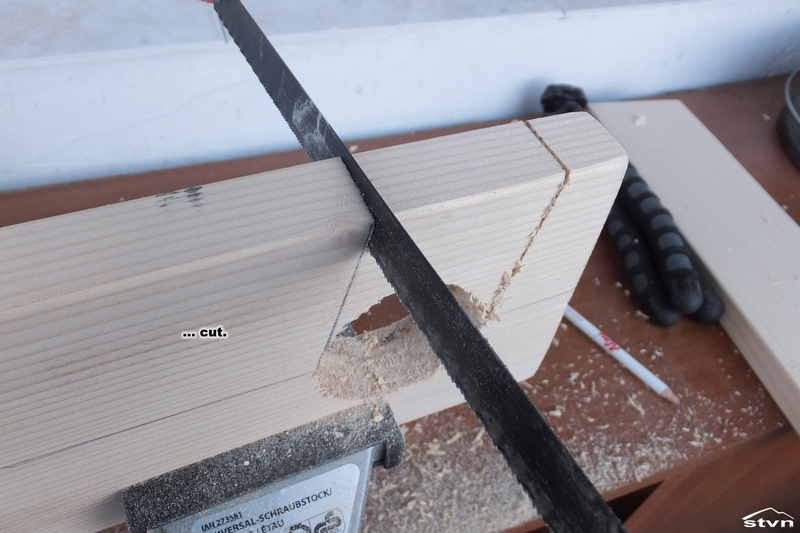 I used a hacksaw for this, it takes longer, but the small teeth leave a cleaner cut than a regular wood saw. 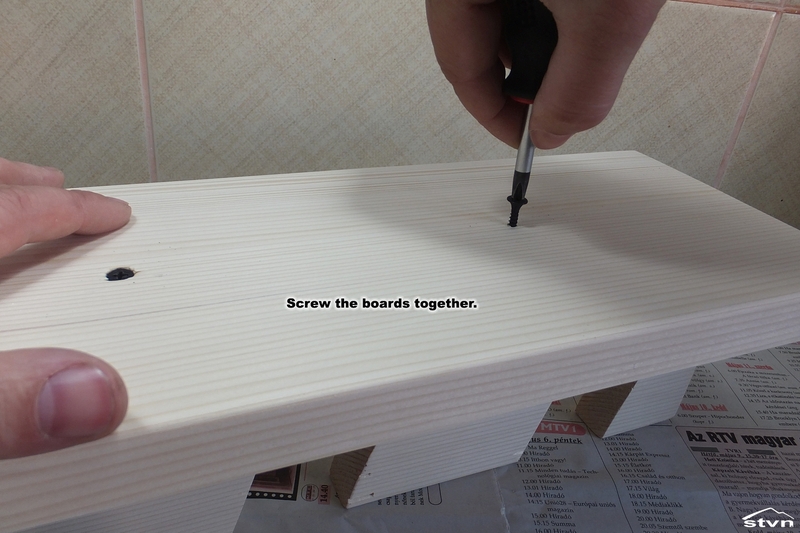 Give the board a light sanding on the edges and set it aside for now. 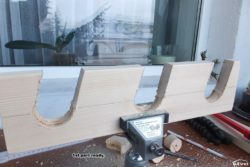 Measure and mark the center of the larger boards (14x40cm), this is where the smaller board will be attached at a 90° angle, if you want to use clamps for the process you can skip this, but i used screws, accordingly I needed to drill some pilot holes for the screws in both pieces of board. 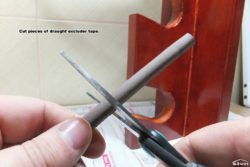 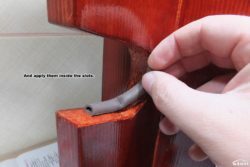 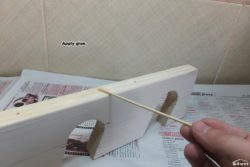 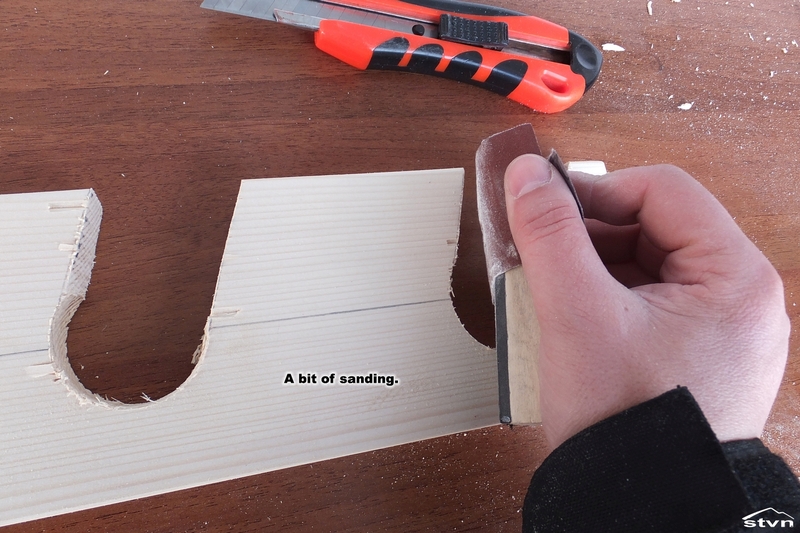 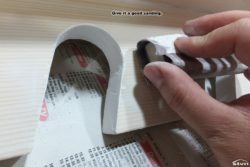 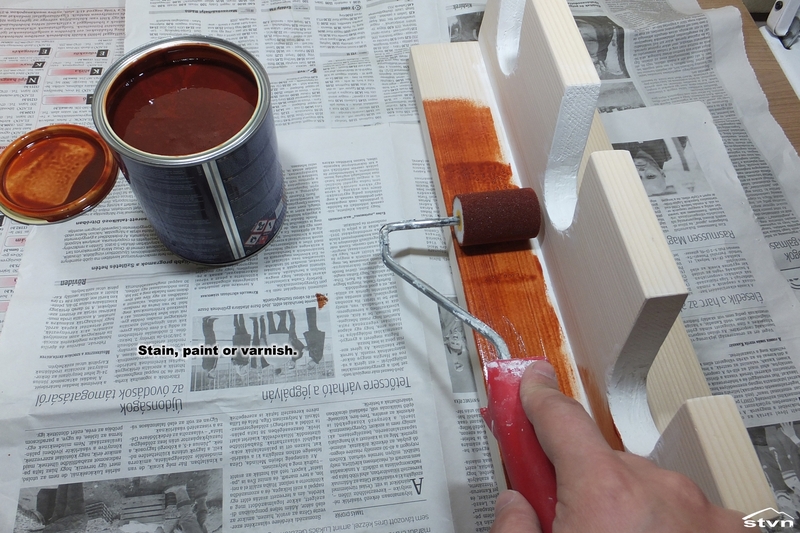 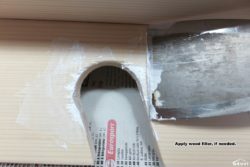 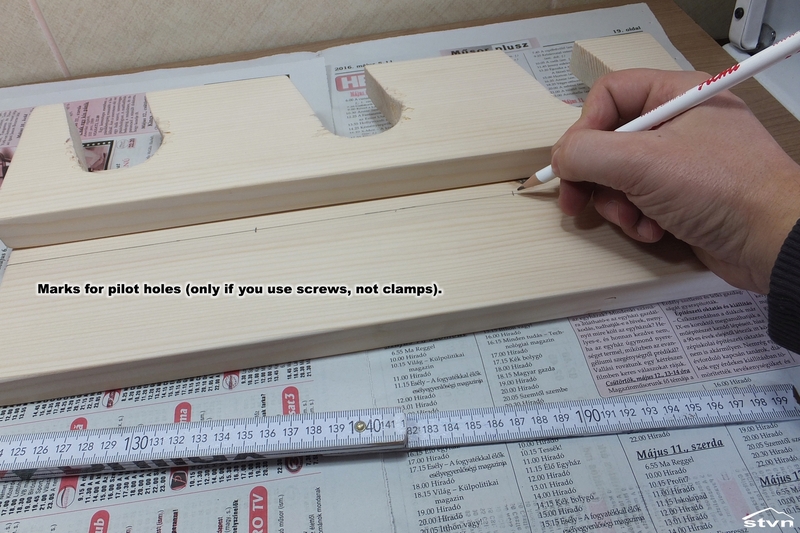 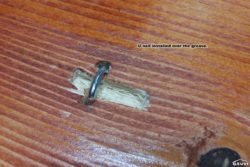 Next apply glue to the edge of the smaller board and clamp or screw it in place, if you use clamps you need to wait for the glue to cure, but if you used screws you can proceed to the next phase right away. 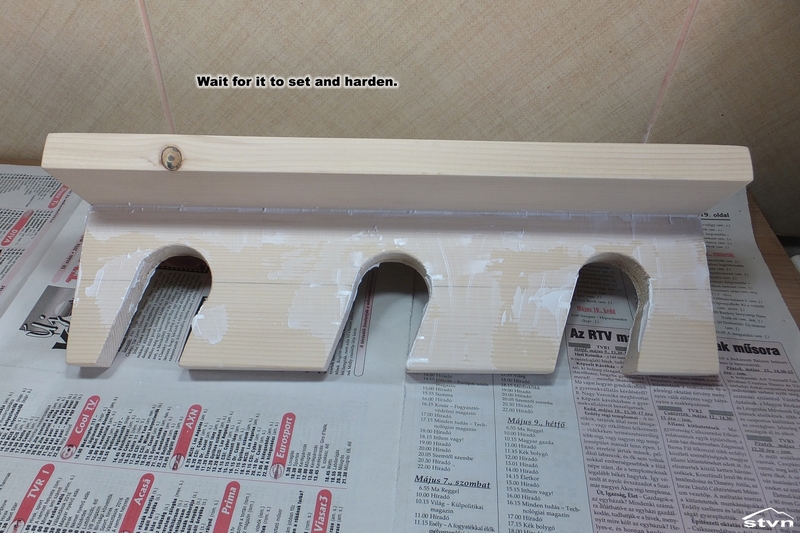 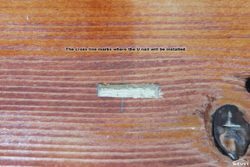 Since the round saw left some ugly chipping on exit I used wood filler to repair the damage and fill any imperfections in the wood, then sanded the excess filler and stained the racks. 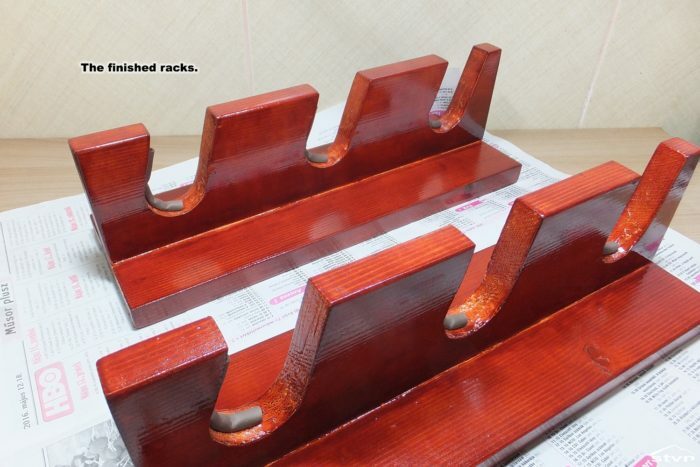 Once the stain dried the rod storage rack was basically completed, I just added some draught excluder tape inside the slots to make it scratch proof. 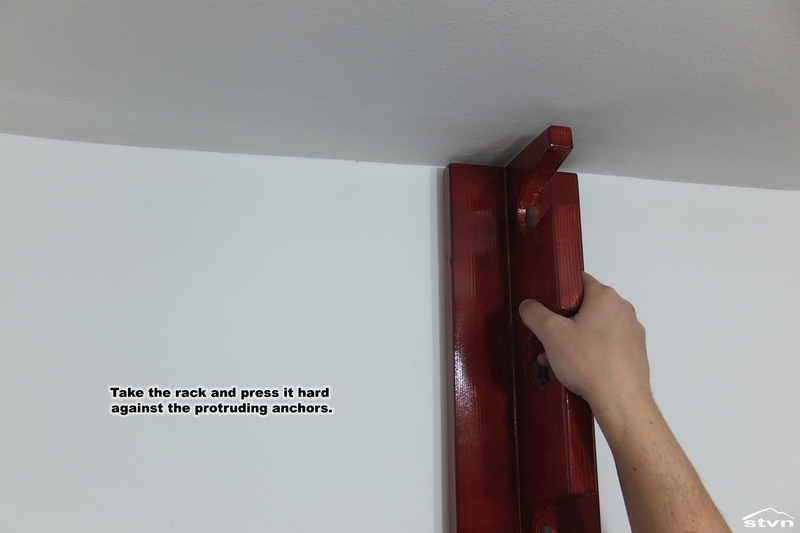 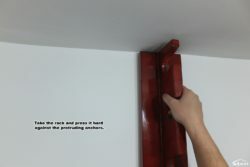 As I previously mentioned, I needed to mount the rack on a reinforced concrete beam, while this method would also work for brick or wooden surfaces, I’m not sure it would work for plaster board. 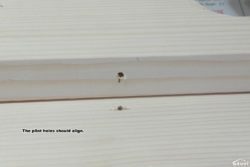 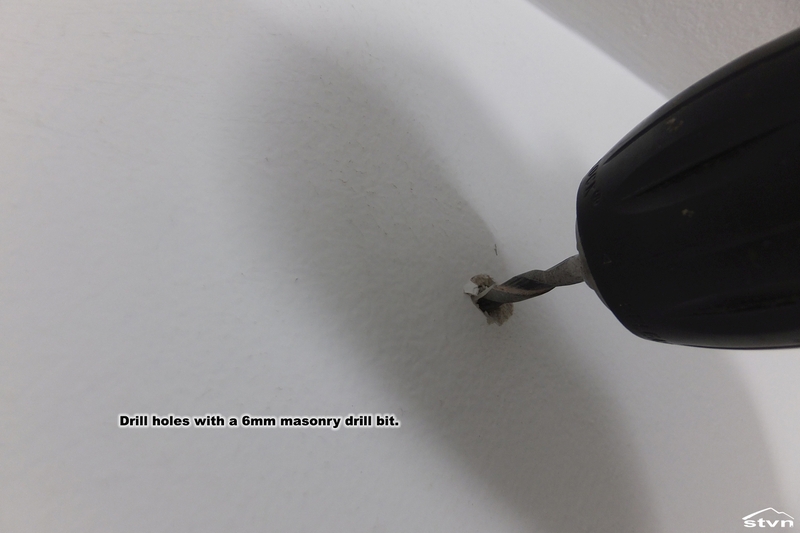 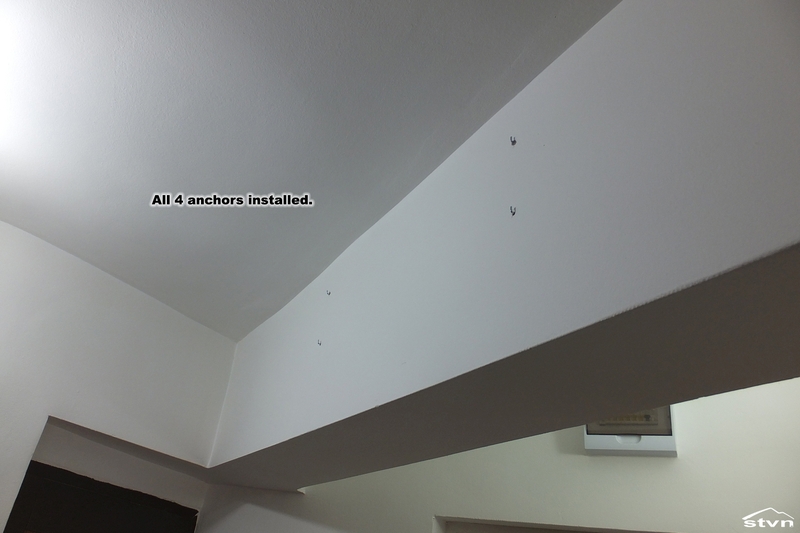 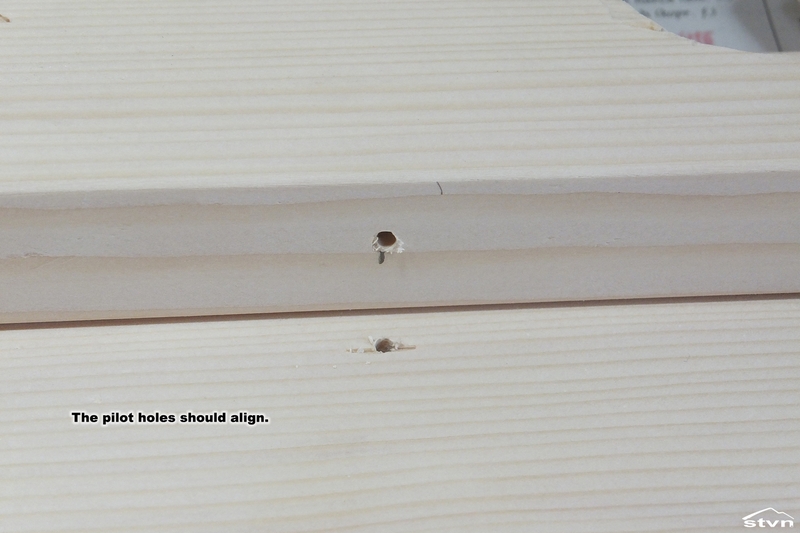 Mark and drill holes for the expansion anchors, I used two ⌀6mm for each rack, then install them. 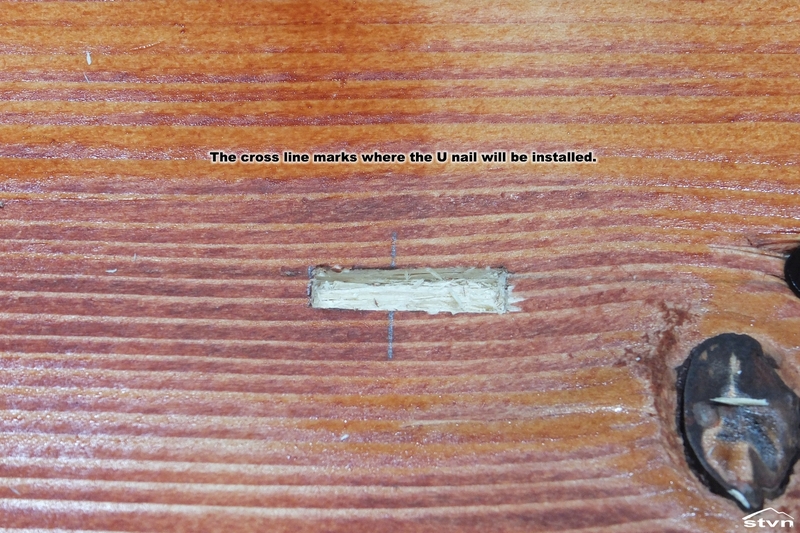 Next take the rack and place it over the anchors, make sure it’s level then press it hard against the protruding ends, these will leave impressions on the wood marking the place where the attachment points will be. 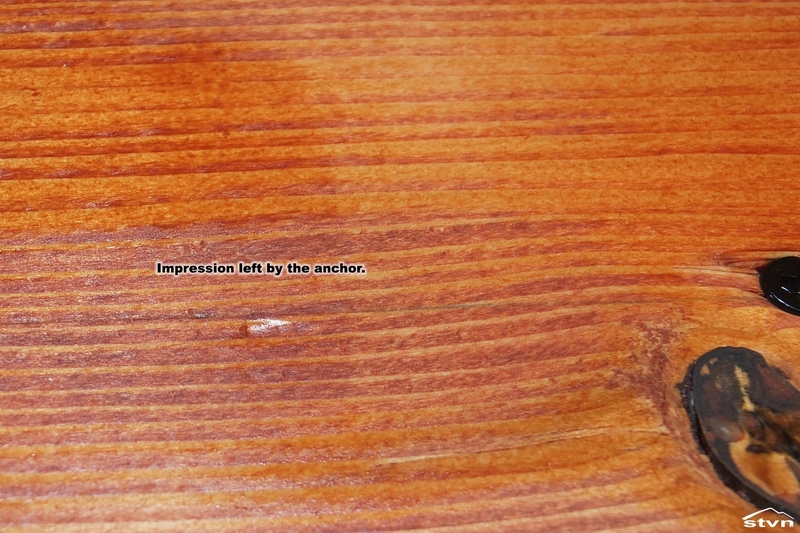 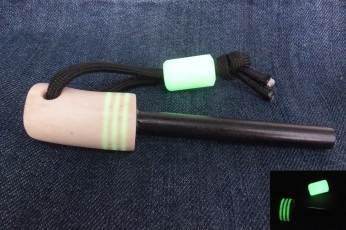 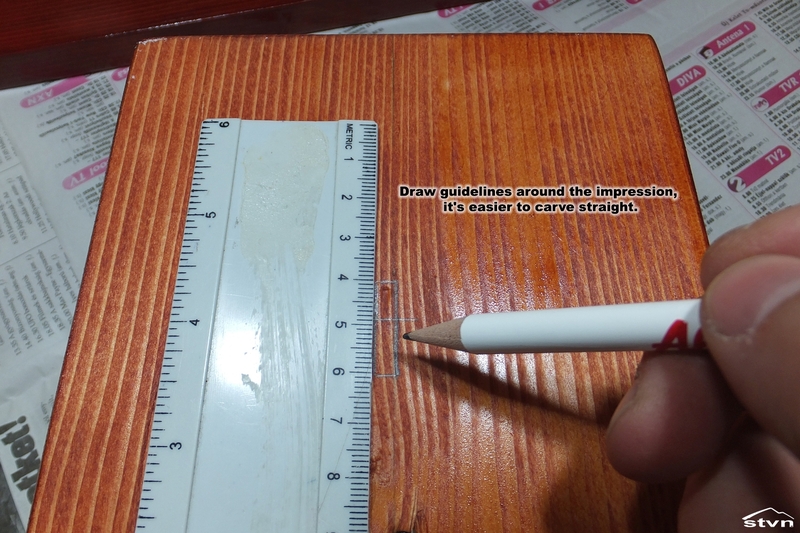 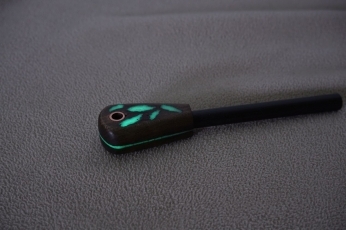 Take a small chisel or x-acto knife and carve out the wood around the impressions, a 5mm deep and wide groove will do, the length should be double the length of the protruding anchor, 20mm in my case. 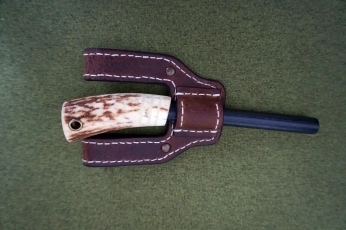 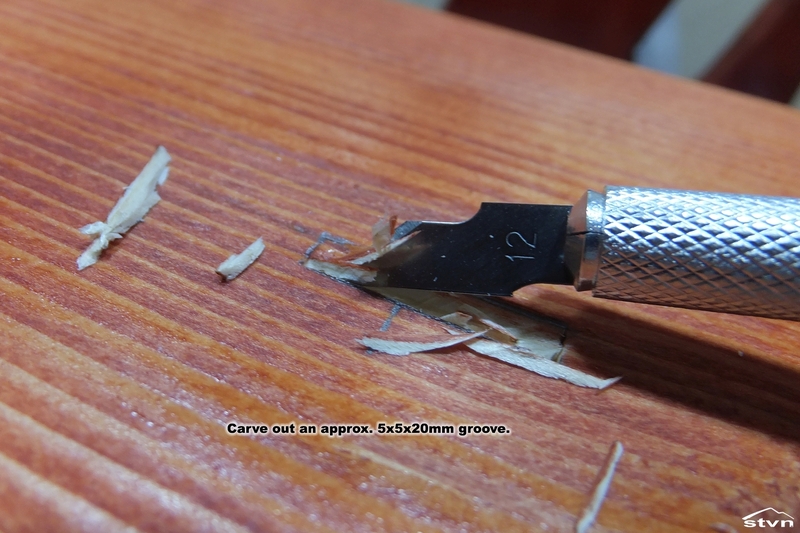 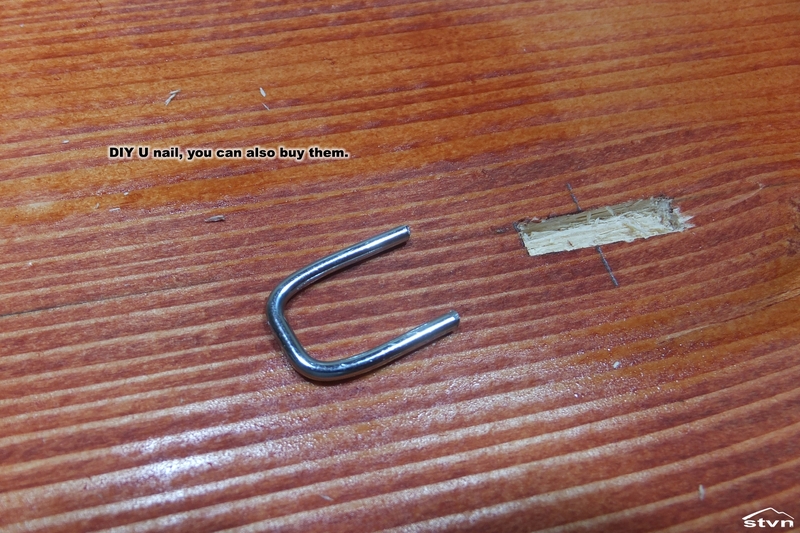 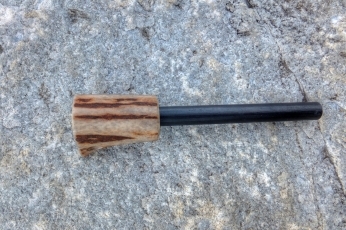 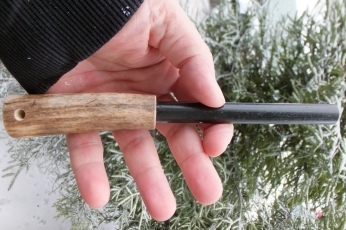 When you are done with the carving, take a U shaped nail and install it over the groove at the middle of it. 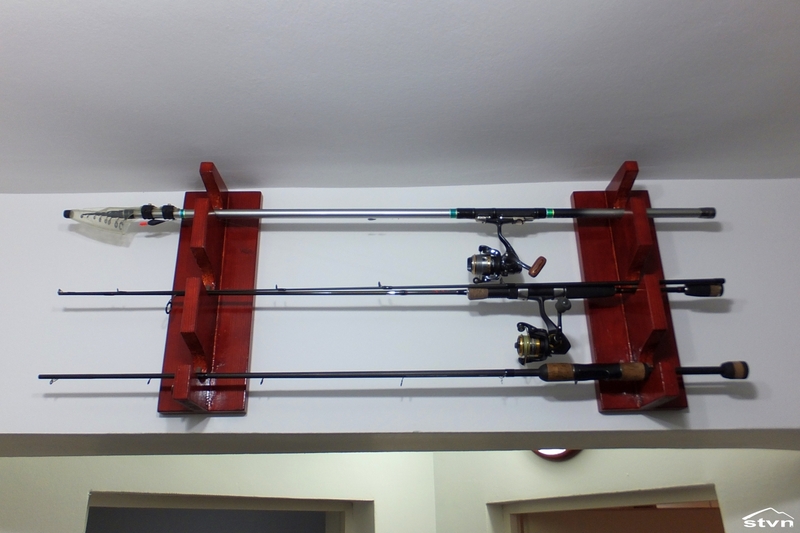 If you did everything right the racks can now be securely hanged on the anchors and the fishing rod storage rack is completed, just add your rods and enjoy. 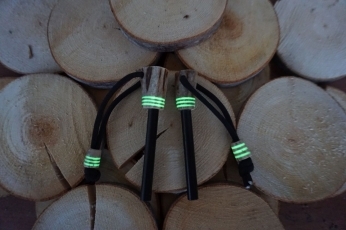 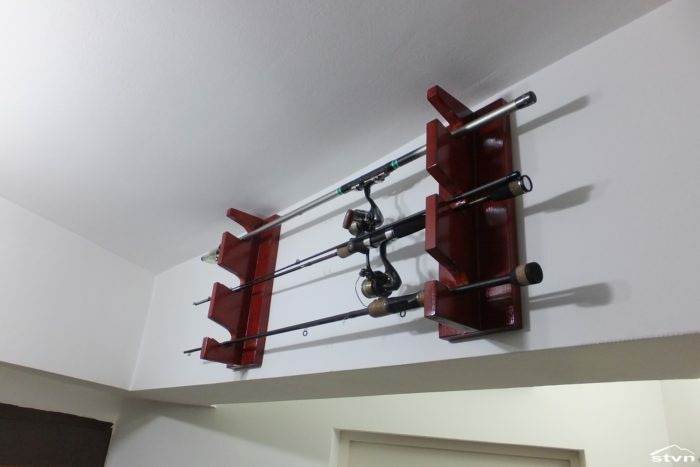 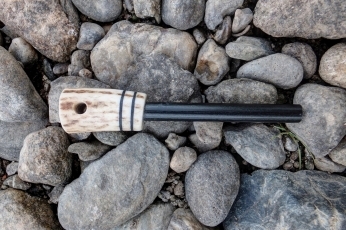 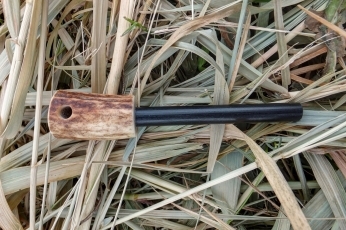 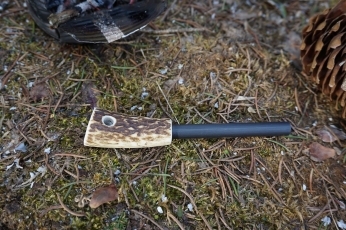 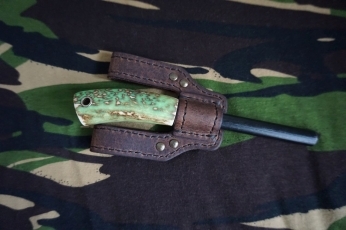 You may copy this article as long as you link back to this page (https://stvn.eu/fishing-rod-storage-rack/) or the frontpage (https://stvn.eu).